When I reflect on past experiences, I reminisce on many of my athletic and musical involvements…all the way back to my high school years. On the surface, these are good memories that sparked many great friendships. On a deeper level, these experiences shaped and developed the way I approached many seemingly unrelated future involvements in college and in my career. While I can speak towards the impact of my volunteering, mentoring, and musical commitments, I will highlight examples from my years of leading my high school’s varsity tennis team, as this activity would seem to have the least correlation to my actuarial career. When I first joined the varsity tennis team, it had a history of several nearly winless seasons, so the initial focus turned to dreaming bigger, setting goals, and establishing a long-term vision to win a state title. In any extracurricular organization or corporate setting, team morale and goal-setting are important to maintain motivation. It is important to continually address areas for improvement, along the way. From here, the focus shifted towards breaking down the vision into interim milestones: improving each season, winning districts, qualifying for state, and eventually competing for a state title. The team needed to maintain energy and momentum throughout the ups and downs of the season. It is important for leaders to keep the team inspired and focused throughout this process. There will be adversity along the way, and it takes many iterations of gradual improvement and recovering from setbacks to achieve success. In order to achieve these interim goals, it can be helpful to set some abstract targets: improve technique, develop team chemistry, and expand mental toughness. These targets provided the team opportunities to continuously improve - when each team member paddles in the same direction and seeks to improve his own contributions to the team, the leader’s efforts are multiplied. As the team continued to develop, additional considerations emerged: how could we leverage each member’s strengths for setting doubles lineups, how could each member contribute to the practice to help improve others, and how could we avoid situations of intrateam conflict? As we progressed further along the journey, the team developed fortitude in learning from mistakes and adopted a flexible mindset to perform when members were injured or ill. Throughout the journey, it is important to celebrate milestones and recognize positive behaviors to reinforce desired actions (good sportsmanship, mental tenacity, selflessness). Over the course of four seasons, the team progressed from its past several nearly winless seasons to winning the district, qualifying for state, and eventually finishing 2nd in the state. Of course, it would have been nice to win the state title, but it was more important to celebrate the unprecedented achievement and recognize the hard work and improvement of each member. Progress happens over time, so team dynamics must be sustainable and enjoyable. Every experience and interaction helps shape how we perceive the outside world. When I reached college, I inherently took many of the aforementioned experiences as varsity tennis captain and supplemented them with learning from other experiences. These allowed me to be more effective in my college involvements, where I gained additional experiences and learning. This accumulating consolidation of experiences continues to guide my future leadership and team involvements. While hitting a tennis ball does not have a direct parallel to doing actuarial work in an office setting, many overarching team dynamics overlap. This is simply one example of how a leadership experience in one of my athletic involvement translated into useable insights for career and other unrelated activities. How have your past involvements helped shape the way you approach your career or other unrelated involvements? Roy Ju, FSA, CERA, is an actuary and the co-author of Actuarial Exam Tactics: Learn More, Study Less. 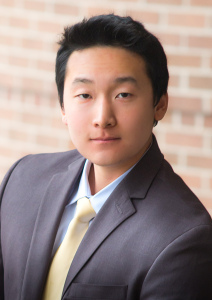 In 2015, at age 20, he became the youngest-ever person to attain the Fellow of the Society of Actuaries credential. Previous What Technical Skills Should I Learn As an Actuarial Student?